You will Watch One Piece Episode 464 English Dubbed online for free episodes with HQ / high quality. Stream anime One Piece Season 14 Episode 6 A Descendant of the Beast! Little Oars Jr. – Full Speed Ahead! 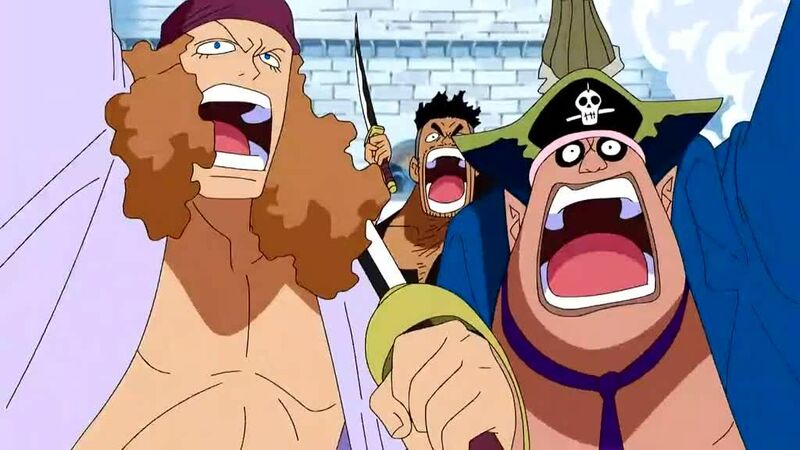 Oars Jr. forces his way into the plaza, overturning one of the Marine ships and defeating the Giant Unit, enabling the Whitebeard Pirates to advance. He continues despite Ace’s protests that he is too large of a target and recalls the time Ace made him a hat that protected him from the weather. Kuma blasts Oars with Ursus Shock, Doflamingo cuts off his leg, and Moria impales him with Spiky Shadow Lizard, causing him to collapse while trying to reach out to Ace.